After college in Massachusetts, I began a 40 year career managing heavy truck dealerships, 20 years in Massachusetts and 20 years here in Florida. During the 20 years in Florida, my wife Nancy and I built and developed a small 75 site campground north of Crystal River. After completing that project, we decided to begin a new project, an RV Dealership right across the street, which we still own today and operate with our two sons. After selling our campground in 2015, Nancy and I moved to Laurel Ridge where we currently reside. In 2012 I was approached at the Kings Bay Sportsman's Showcase to attend a Rotary meeting. Once I realized what Rotary is, I was hooked. I wanted an organization where I could give back to the community and the world, "service above self." My focus this year will be issues such as hunger, homelessness, abuse; especially concerning children and promoting higher education through scholarships. I invite you to come join us. After 35 years in the insurance industry I retired to Citrus County to become a horse farmer. My wife, the horse person, was a member of Kings Bay Rotary and invited me to attend a meeting and I was hooked. I had no idea how much joy there is in serving humanity. In my presidential year I wish to build upon the legacy of the past leaders of the club in order to insure a path of service to Citrus County, Rotary District 6950 and Rotary International. We plan on raising a lot of money, giving it all away and have fun doing it. Retired Law Enforcement, 28 years of service, 24 with the Clearwater Police Department, and four years as Chief of Police with Crystal River, and Lake City Police Departments. Retired in 2008, currently work part time as Lead Investigator for Quick Search Investigations, specializing in criminal and civil investigations. He has a bachelors in Criminal Justice and a Masters in Business administration. After college, I taught math and coached basketball in my home state of Indiana for six years. When I left teaching, I began a 35-year career in financial services, retiring as Senior Vice-President Marketing with Transamerica Financial Advisors. After my retirement 5 years ago, my wife, Teri, and I moved to Florida and I was soon invited to join Kings Bay Rotary in Crystal River. At my first club meeting, I was impressed with the friendliness, energy, and enthusiasm of our club. I have served as a Board member 3 years, President-Elect, and now President for 2014-2015. My focus as Club President will be on children's issues of hunger, literacy, and education, and supporting the various Veterans organizations, both locally and nationally. While our club works at the Rotary motto of "Service Above Self," we also know how to have fun. I look forward to another great year of both fun and service. I joined the Kings Bay Rotary in 2009 after going through Leadership Citrus. Our class project was cleaning up the swimming area and grounds at Hunter Springs Park. We invited members of the community to join in the clean-up and several Rotarians showed up to help. I was invited to meetings and here I discovered a group of people who like me believed in service above self, a good match. I started the One Rake at a Time restoration project of Kings Bay as a rotary service project; because of this the club has grown because people want to belong to a club that does good things. Kings Bay Rotary received the Significant Achievement Award from Rotary International because of our commitment to improving our community. 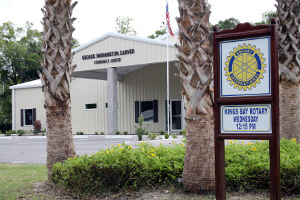 I have been a member of the Rotary Club of Crystal River – Kings Bay since December 2006 and consider myself very am fortunate to have the privilege of being the President. Since retiring in May 2003 from United Technologies Corporation, where I was the Director of Supplier Management for the Boeing Sikorsky Comanche Program, Rotary has offered me the opportunity to meet a tremendous number of outstanding people both within Rotary and outside of Rotary. Since my retirement, my wife Linda and I have lived in Pine Ridge Estates in Beverly Hills. I live in Homosassa Florida with my wife Iris and two young children Dylan and Alexis. I work in Crystal River Florida and have been in the jewelry industry for almost 30 years. I have been in Rotary for 10 years and it is my honor to lead our fine group of members this year. We have a well-diversified membership and are very active in helping charitable causes in our community. It is our opinion that if you can find a way to make every project fun then getting people involved is easy to do. Rotarians are the rare breed that still cares very deeply about the needs in their communities and are willing to put in the time and effort to create real change for the better. We are always looking for new members so come join us for lunch some time. As a resident and healthcare professional working for the people of Citrus County for 24 years, it is with great pleasure that I get the chance to lead this club for the 2009-2010 year. Rarely do you see such a dedicated group of members working for the betterment of people at the local, national and international level. My wife, Deborah, and I have truly enjoyed raising our 2 children in this community and being a member of Rotary allows us the opportunity to combine our efforts and give back far more than we could alone. We are also fortunate enough to be in Citrus County where all six clubs work together on joint projects that give each of us a chance to multiply our efforts even more; what a great organization! During his year we donated $45,000 for the purchase of the Three Sisters environmental sanctuary. 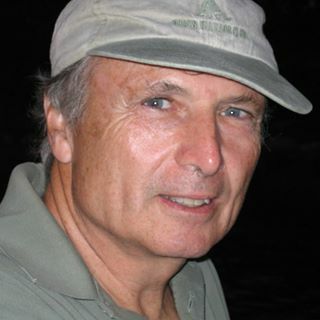 Galen Clymer is originally from Southern, New Jersey moved to Florida in 1973 and to Citrus County in 1975. He was employed by Florida Power Corp. at Crystal River Unit 3 Nuclear Plant where he held several positions including Nuclear Waste Manager, Senior Quality Auditor, ChemRad Technician, and Chemistry Specialist during his 27 years. He then started his tour boat business the “Crystal River Eco-Tour Water Taxi” on Crystal River. 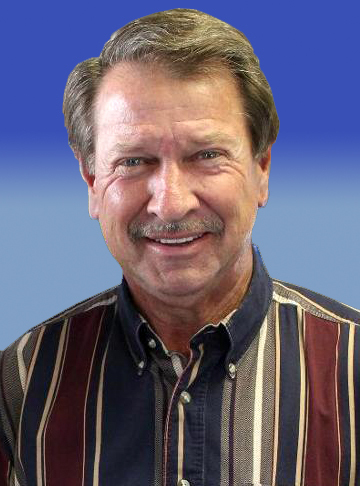 Galen was the Chairman of the City of Crystal River Waterfronts Advisory Board. He has been active as a Boy Scout leader. He became a member of the Kings Bay Rotary Club in 2002 His hobbies are boating, golf and hiking the mountains of North Carolina. Goals for the club are to make dreams with several community projects, international water project and having fun doing it. District Conference in Clearwater was one of the highlights of Shelby’s years in Rotary. She received the award for “President of the Year”-mid-sized club and accepted the Zone 34 Literacy Award on behalf of Kings Bay. Programs for Children and Literacy Issues are her passions. Over the past years, she has led the Kings Bay club in Dictionary distribution to third grade students; she has served on the Leadership Council of Take Stock in Children since its inception four years ago and mentors a student in Lecanto High School. Receiving their first District Simplified Grant to continue the club’s work in developing Kings Bay Park in Crystal River, the members did two major clean-ups and installed an historic marker to earmark its continued support of this beautiful city park. Additionally, the club contributed $10,000 as they joined a community effort to purchase the land surrounding the Three Sisters Springs in Crystal River-Kings Bay and see it turned into an environmental sanctuary. Edward Johnston joined Rotary in 1981 and has been involved in the various aspects of Rotary for more than twenty-five years. What really keeps Edward Johnston involved in Rotary is the fellowship of the people in the club united in the ideal of service. His primary business since 1976 has been Edward Russell Johnston Inc., a construction company. As a master builder of residential and commercial buildings, Edward Russell Johnston has made a reputation of quality craftsmanship by paying attention to customer’s needs. Edward holds a Florida State Certified General Contractors license, Florida Real Estate Broker’s license, Federal Aviation Private Pilot’s license, United States Coast Guard Master Captain’s license, PADI open water diving license, and is a Certified Fly Casting Instructor with the Federation of Fly Fishers. During his term Kings Bay Rotary celebrated its 20th Anniversary and he initiated a review and rewrite of our By-Laws. During the year an international water project was initiated and completed in Honduras. Roger, Chris Gregoriou, and Joe Festante traveled to Honduras to assist in the installation of the wells, pumps and piping to bring water to every home in the village. During the year the Kings Bay Club also landscaped Copeland Park partnering with Keep Citrus Beautiful, a Master Gardener, and members of the neighborhood. This project included a major face lift to the pavilion. Also working with the City of Crystal River, Kings Bay Club provided the manpower to make Kings Bay Park an area of pride and usefulness to the community. We hosted the GSE team from Bangladesh. Other Community contributions went to the Boys and Girls club, Big Brothers/Big Sisters, and the Take Stock in Children’s scholarship/mentoring program. Initiated Kings Bay Charitable Foundation. A native Mississippian; born 9/6/38 second of five children born to Leonard & Geneva Boleware. Graduate of U.S.M., degreed in industrial engineering and human resources. Bob spent thirty-eight years in the apparel industry and semi-retired in 1995 as president of a 2000+ employee apparel company in New York. During his career he left the apparel industry to enter into politics and served a four year term on the staff of governor William L. Waller of Mississippi. This year, the club joined with all Citrus Rotary clubs to make a financial commitment to furnishing the new Hospice House in Lecanto. Through the generous gift of a building lot given by Rotarian Hugh McElvey and his wife. Roger Proffer led the International Project this year, our club purchase a used Fire Engine with financial support from C.R. Rotary & delivered it to San Fernando, Mexico, a town of 115,000 without fire protection. This was a monumental year for our Sportsman's Showcase. We were able to bring the net proceeds from around $7,000 to over $14,000 - which, ultimately, was more that we could give back to the community and overseas. During the year, we hosted the GSE team from Holland and took them for a tour of the Chronicle, Publix (they wanted to shop in an American store and were given a first class tour by Ray Pharis, manager of the Citrus Hills store), Citrus County Art League and then a boat ride provided by member, Galen Clymer. This was the year, we participated in the Adopt-A-Shore, painted the DAV hall in Inverness, painted the Boys & Girls Club, supported CASA, the Boy Scouts and many other fine organizations. We held the Wild Beast Feast at Phil Noll's house and had our first silent auction. The club held its meetings at the Peking Garden Restaurant. To encourage contributions to Rotary’s Polio Plus Fund, an Iron Lung was brought from St Pete and placed in the Crystal River Mall. During a three day period, $1400 was raised to help fund this major, international project. Other projects included Upward Bound, a project to encourage student performance in school, the Adopt-A-Shore cleanup, contributions to Boys Scouts, Boys and Girls Club, Christmas shopping for students of need, and Relay for Life, support for the American Cancer Society. G.S.E. was sponsored and a cocktail party was held at Morning Star Ranch, the home of Joe and Lynn. Rich has been an active member of Rotary since 1975 when he was invited to join the Inverness Rotary Club. In 1998, he transferred his membership to the Kings Bay Rotary Club. Under his leadership, the small club grew by a net 18 members, which is almost unprecedented. During this tenure, he was involved in several local projects and a joint international project that helped provide a renewable energy system for the non-profit youth environmental education camp in Lameshur Bay within the Virgin Islands National Park on St. Johns, U.S. Virgin Islands. Father James was the sixth eldest of seven girls and two boys and was the last to go home to God. He was a man of wisdom and accomplishment, he witnessed many things in his long and productive life both here at Saint Leo Abbey and in the world around him. He has the distinction of being the only monk who knew all six of the Abbots.During his 75 years of service to the church, he worked in many parishes, founded 7 ( 5 in Citrus County) and 2 Catholic schools.